Great host, great location, great stay there. would recommend at any time! Amazing place, great location with a wonderful rooftop. George the host was incredibly friendly and helpful. We will return! All in all I had a wonderful time in the Hostel! The rooms were nicely cleaned everyday and the bed sheets were also changed every second day. The rooftop was very nice and it was easy to meet people there! Also the Hostel organised a free barbecue which was really nice! One thing I would criticise were the bunk beds which felt a little unstable and you could feel every movement of the person over/under you. All in all me and my friend we had a great time and would always recommend this Hostel! I didn't expect anything special because of the cheap price but it's great there. Short walk from the port and just a few meters away from the beach. Perfect! Definitely the best option if you want to stay on Paros! 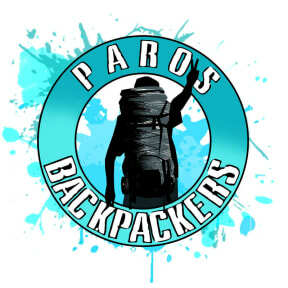 I liked Paros Backpackers cause it's close to the beach, staff is nice and helpful and you can hang out on the rooftop to meet people and watch the sunset. There are bars and clubs within walking distance but its also a quiet place. You can be lucky with the rooms, I've seen nice ones with a lot of space but unfortunately we were in a tiny room with 4 people, which was a bit annoying for 6 nights. I think it used to be double room, replaced with 2 bunk beds. Other than that nice place to stay.